Fizzes are a very refreshing class of cocktails for summer. This version uses one of our favorite aperitifs and a brandy, but at your home bar have fun playing with other fortified wines or liqueurs and base spirits. shake brandy, cardamaro, lemon juice, simple syrup, and bitters with ice. Poor in to a collins glass filled with ice. 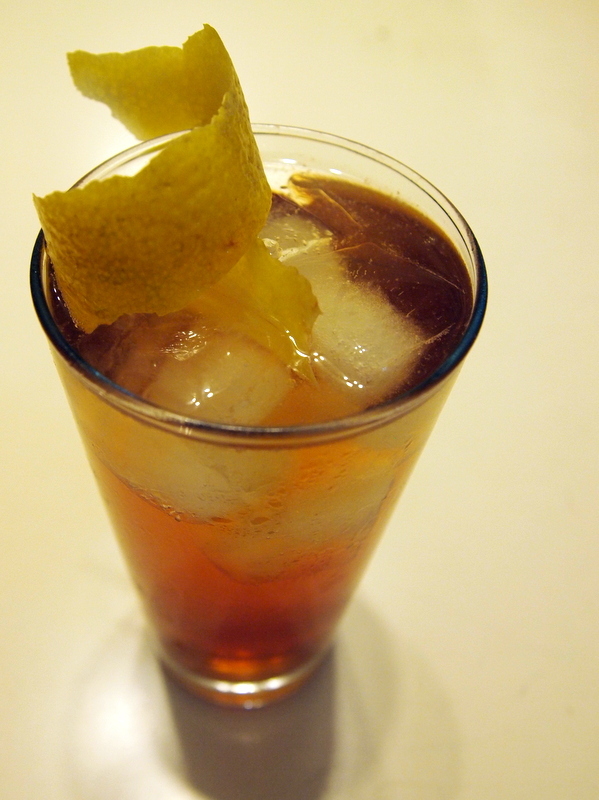 Top with carbonated water, stir, and garnish with a lemon twist.